Make your documents Tamper-Proof and instantly verifiable. 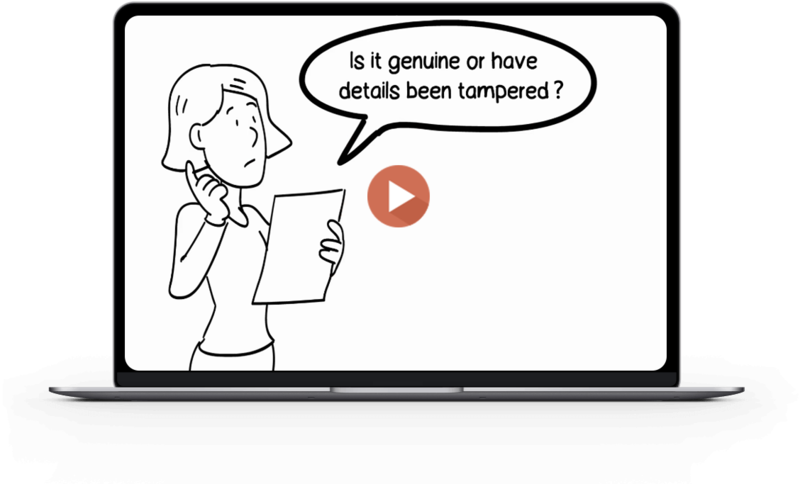 With Qryptal, it is easy to stop document fraud. Engineered from the ground up to be the one and only secure document generation solution you need. The solution can be used for all kinds of documents which may need to be verified. Qryptal is a truly multi-purposed design, suitable for educational, corporate or government environments. It is a light weight system which can be easily integrated with your existing document production processes. The best part is that our mobile Apps make it very easy for any person to instantly validate both physical and electronic documents. A system that just works! Qryptal is perfect for small organisations, large enterprises and governments alike. Once issued, the information on the document is sealed and cannot be tampered. Anyone, anywhere can use a mobile App to instantly validate. No network connectivity required. No pesky accounts to create. 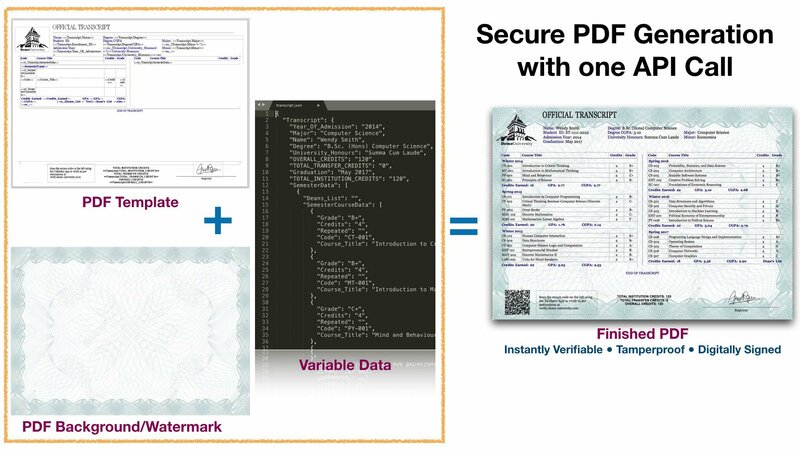 Making validation friction free reduces document fraud. All details are encoded in the code and no infrastructure maintenance is required. This not only minimizes running costs but also helps avoid database tampering prevalent with online document verification methods. Often documents are presented on paper or as scanned copies and at times even as images. Qryptal works for all forms. Many integration options including on-premise or web services to get you started in hours. No long term committments! Just pay based on the number of documents you need to issue and scale up/down as needed. We have an exceptional customer retention rate. You will wish all your vendors were so responsive and competent. Option to generate fully finished, ready to print-distribute secure certificates based on your template. The DataFlow Group specialises in document verification, and as an industry leader it's vital that we stay one step ahead of activities associated with the creation and presentation of fraudulent credentials. 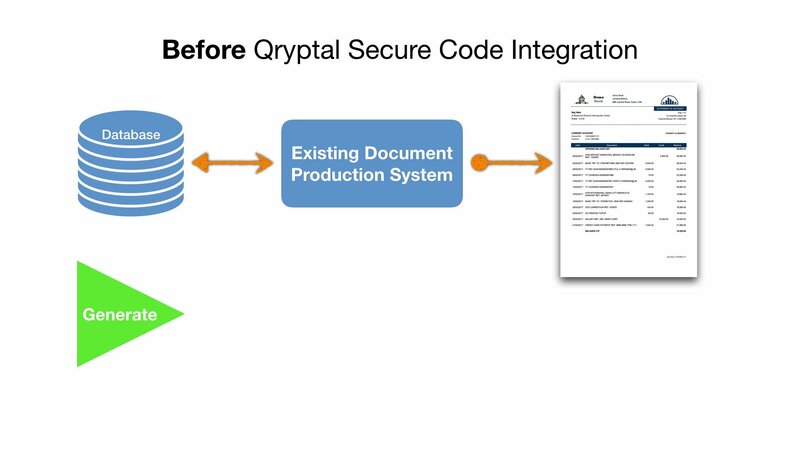 People's lives quite literally depend on our verification services, and by utilising Qryptal's QR codes we were able to add further security to our verified documents with a neat, technology solution which is easy to implement and use. The speedy response and turnaround time in the implementation was amazing. The team paid great attention to details and was very helpful during the process. Our transcripts are now generated and secured with Qryptal Secure codes for all our various degrees and programs. This enables them to be easily verifiable by all prospective employers and other agencies including for graduate programs of universities around the world. It benefits our students and the administrative staff as it improves the efficiency of verifying such documents and saves valuable time and resources. 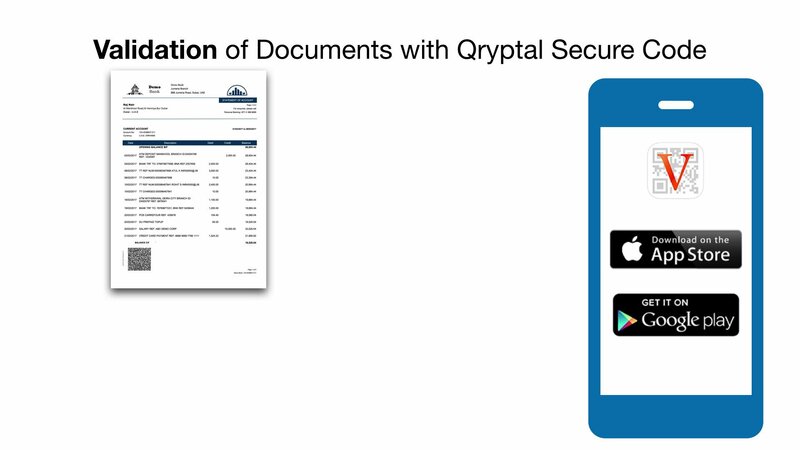 Qryptal has given us a very good solution to ensure the authenticity of sensitive documents issued to our customers. This has helped our customers improve their perception about our attention to these matters and they have congratulated us on the solution implemented. The team of Qryptal has been very supportive, worked closely with us in the customization process and has displayed an open mind about our suggestions for improvement. Qryptal team was extremely helpful. If any questions or issues arise, they jump right on them and provide quick answers and solutions. Their understanding of our unique needs and incredible personal attention make me look forward to working with Qryptal again. A few queries we come across everyday, let's connect to get into more details. What is document security ? Document security refers to the integrity of information on the document. Anyone looking at the document should be able to trust the information and be confident that it has not been manipulated or tampered without necessarily having access to the source of the information. Qryptal helps ensure this with its technology. What kind of documents should I use Qryptal for? Any document of value that leaves the organization that is trusted by third parties. This includes certificates, IDs, receipts, invoices, letters of undertaking, letters of references, employment letters, pay slips, contracts, trade documents, etc. Do you have a partner or reseller in my city to help me implement Qryptal? Does Qryptal’s solution work with only printed documents or with electronic documents, PDFs etc as well ? 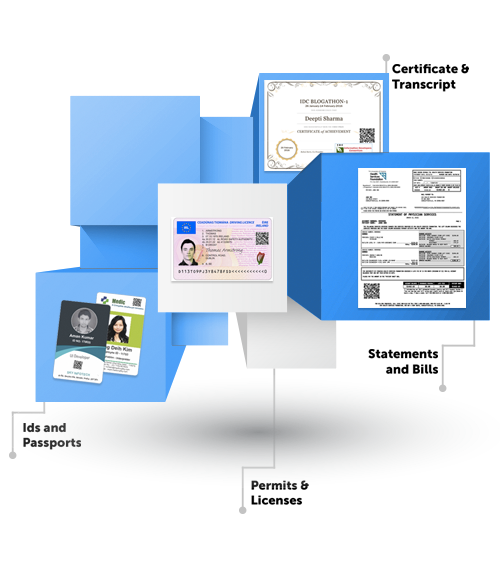 Qryptal’s technology gives you the flexibility to use it for both printed as well as electronic documents unlike some other solutions which only work with one type of document. I have full control and confidence over the information that is produced in my organization in the form of any document. Why do i need to secure it ?